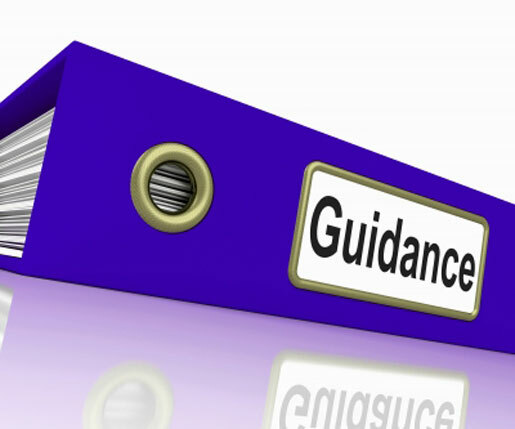 More than seven years after publishing draft guidance on the topic, FDA is back with final guidance on "Submission and Review of Sterility Information in Premarket Notification (510(k)) Submissions for Devices Labeled as Sterile." This guidance addresses 510(k)-submitted devices labeled as sterile, and applies specifically to microbial inactivation. In the final document, the agency removes mention of a "non-traditional" category (included in the draft guidance) and simplifies classification of various sterilization techniques into "established" and "novel" groupings. Established sterilization methods, which FDA believes "have a long history of safe and effective use," include dry heat, moist heat or steam, radiation, and ethylene oxide in a fixed, rigid chamber. Also included as examples of established methods are hydrogen peroxide, ozone, and flexible bag systems such as those using ethylene oxide. These were originally listed in FDA's draft guidance as "non-traditional" or "novel non-traditional," but the agency now describes these as "established methods for which there are no FDA-recognized dedicated consensus standards, but for which published information on development, validation, and routine control is available." The novel methods use chemicals or processes that have not been cleared, approved, or evaluated by FDA, according to the guidance document. This category includes vaporized peracetic acid, microwave radiation, sound waves, ultraviolet light, and high intensity light or pulse light. As expected, FDA wants to see additional information from companies submitting a 510(k) for devices sterilized using a novel method. The agency requests that these submissions include a thorough description of the steps taken, as well as the validation method, protocol, and data. In addition, when reviewing a 510(k) submission for a device that underwent a novel sterilization method, FDA plans to conduct an inspection of the manufacturing facility. "We believe that novel sterilization technologies carry a substantial risk of inadequate sterility assurance if not conducted properly. Consequently, compliance with GMP for devices sterilized using these technology should be closely evaluated," the final guidance authors wrote. In this final guidance, FDA also expands upon its discussion of pyrogens. In the 2008 draft guidance, the agency noted that there should be record of the testing done to show that certain devices—those that come in contact with blood or cerebrospinal fluid, are permanent implants, or are labeled as non-pyrogenic or pyrogen free—are non-pyrogenic. This week's final version added a couple new requirements for this testing documentation and now extends to all implants (as opposed to just permanent implants), devices with indirect or direct contact with cerebrospinal fluid or the cardiovascular or lymphatic systems or "similar systemic exposure", and those with non-pyrogenic labels. FDA notes that it no longer uses "'pyrogen free,' unless the complete removal of pyrogens can be established." Pyrogens were a hot topic among the commenters who provided feedback to FDA on its 2008 draft document. Some of the commenters, including medical device industry group AdvaMed, as well as representatives from DePuy and Johnson & Johnson, wrote that they believed FDA's draft increased testing requirements and were out of sync with other standards. AdvaMed wrote, "The specific requirements stated in the draft guidance will result in testing devices that have not warranted non-pyrogenic claims in the past and for which FDA has not required non-pyrogenic claims. As always, increased testing incurs increased cost to produce medical devices." FDA has scheduled a webinar on February 11 to review this final guidance and answer industry questions. Check out the future of medical technology at the world's largest medical design and manufacturing event—register for the MD&M West Conference, February 9-11, 2016.